Here are some resources to keep you informed and help you take action on important food issues. 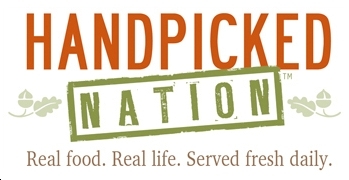 A bible of sustainable food that has introduced “local” and “grass-fed” to so many thousands. 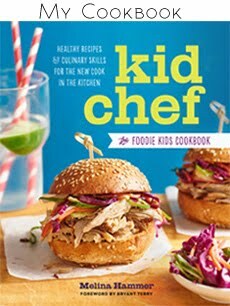 A great read for anyone looking to gain a new perspective on food and the way we eat. A continuation on the subject of Pollan’s previous book, The Omnivore’s Dilemma. While Omnivore brings to light many of the problems surrounding our current industrialized agriculture system, In Defense of Food illustrates some guidelines to eating, shopping and cooking, and how to embrace a more sustainable food system. 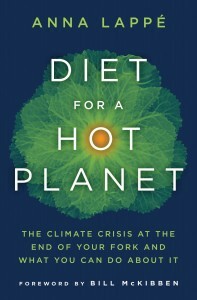 Lappe plunges into the heart of this era’s newest food fight with a simple message: if we are serious about addressing climate change, we have to talk about food. She voices the dreams, tales, and warnings of the farmers and eaters at the front lines of this battle, and in visiting some of the world’s most robust and vibrant sustainable farms, she explores the potential for sustainable agriculture to mitigate emissions. The Farm Bill is an important piece of legislation that comes out once every seven years. Imhoff’s book, which came out just before the latest farm bill, tries to simplify an incredibly complex piece of legislation and outlines some of the many sectors of our life the bill impacts. 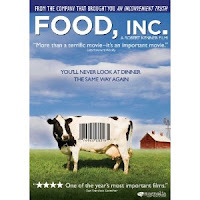 A modern day The Jungle, Fast Food Nation exposes the reality of what goes in to the making of our fast food, from animal rights issues behind livestock rearing to the fascinating science that goes into creating each flavor in today’s Big Mac. In addition, there is a reader version of this coffee table book, which is slightly less pricey and more portable. 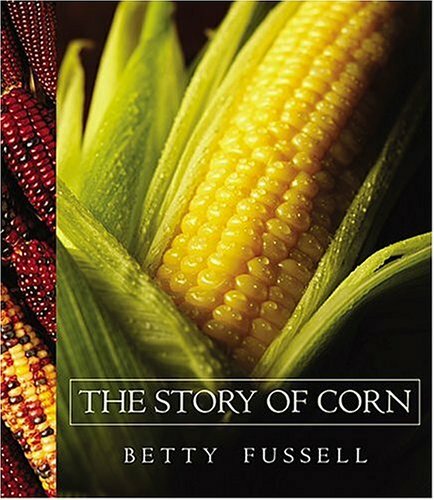 The larger version, however, comes with hundreds of poignant photographs documenting the state of agriculture in the U.S. Both books are full of essays from top thinkers in the field of sustainable agriculture like Wendell Berry and Wes Jackson. The founder of the slow food movement discusses the global food system and how we need to address production and consumption so that what we eat is good, clean, and fair. In this book Marion Nestle, a ubiquitous name in the field of food and public health, vividly illustrates food politics in action: how the food industry uses lobbyists and other means to gain the ear of policy makers and federal agencies, and the impact that has had on our own health. When it comes to the mass production and consumption of food, strategic decisions are driven by economics—not science, not common sense, and not health. This tells the story of how we get our food: from poor people at food pantries or bodegas and convenience stores to the more comfortable classes, who increasingly seek out organic and local products. 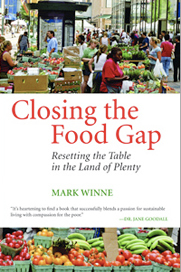 Winne's exploration starts in the 1960s, when domestic poverty was "rediscovered," and shows how communities since that time have responded to malnutrition with a slew of strategies and methods. 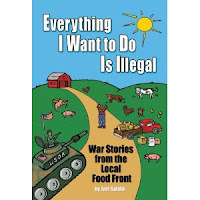 With decades' experience as an ecological farmer and marketer, Salatin humorously explains why we do not have the freedom to choose the food they purchase and eat. From child labor regulations to food inspection, bureaucrats make sole discretion over what food is available in the local marketplace. 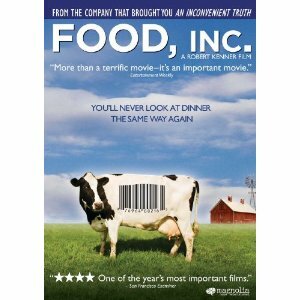 Their system favors industrial, corporate food systems and discourages community-based food commerce. 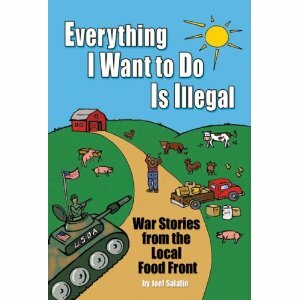 Salatin's expert insight explains why local food is expensive and difficult to find, and illuminates a deeper understanding of the industrial food complex.